Water Damage Doral FREE Inspection! Water damage occurs when intruding water enters a structure and destroys components of the property; it requires immediate attention from our water damage Miami technicians and this is why 911 Restoration Miami is available 24/7/365 ready to dispatch the water damage Doral unit when you need them. We have over 35 years of experience, and in that time our water cleanup squads have seen just how devastating water damage can be causing homes to lose a significant chunk of their re-sale value, and in some cases a pipe burst that isn’t addressed right away can cause a total loss. Our water damage Doral experts respond within 45 minutes of all calls ready to initiate the best water damage restoration services to homes and businesses throughout the Doral area. We are industry leaders with nearly four decades of experience and whether ruptured hoses flood your laundry room with gray water or your roof leaks rain onto your carpets and hardwoods, our water damage Doral team will be there to restore your property regardless of the water damage type. Our water damage Doral technicians are well equipped to start pumping water from your home, and no matter what water category has consumed your living space, we can clean and sanitize your property. Our water damage Doral professionals use the latest drying technology to ensure that mold does not arise from your water damage problem, so call us today and let our 911 Restoration team work our magic! Water damage causes mold because a plumbing leak can foster a moist environment for spores to thrive, which is why our water damage Doral techs are also IICRC and RIA certified mold removal specialists. In many cases we have responded to slow pipe leaks under floors or in walls that went unnoticed for some time until the signs of mold raised a red flag. 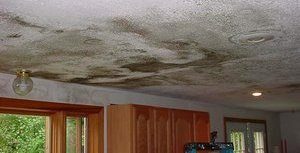 Intruding water in the home, whether from fire sprinklers or storm damage, can create a free-for-all when it comes to mold. This is why our water damage Doral company offers fast same day service so we can prevent an outbreak of toxic spores from threatening your family. Our 911 Restoration team values professionalism and we always put the customer first, so when you call us for a house flood or any water damage emergency we will even file your insurance claim, so call us now to get the ball rolling! As long as the water damage was caused internally and not by a storm your insurance will likely cover the repairs our water damage Doral company performs. When you ask yourself, who do I call for water damage, remember that you need a water damage Doral team that knows how to work with your insurance company. If a hurricane floods your home you would need a supplemental flood insurance policy to cover the damage. In the event a flood consumes your home or any other disaster falls short of coverage, don’t worry; our water damage Doral restoration pros will give you an affordable price on all restoration services. In fact when we arrive on scene we will even perform a free inspection and offer a quote to ensure that you are getting a low cost. 911 Restoration is proud to provide inexpensive water damage restoration services to a community we care so deeply for. Nicknamed “Doralzuela” for its affluent and massive Venezuelan population, this special community offers a rich cultural influence to surrounding pockets of neighborhoods. 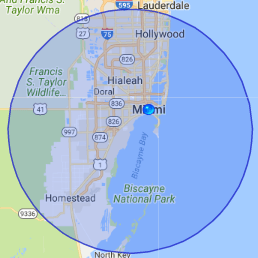 Our water damage Doral team members feel honored to provide fast and affordable water damage restoration services in such a vital region. If you have a black water spill that has flooded your bathroom, or a water heater leak has turned your garage into a swamp, call our water damage Doral team with 911 Restoration Miami without delay and let us restore your property to something far better than what you had prior to your loss today!